dance.net - Pretty in Pink Gavin Dorherty solo 9-10yrs (10148747) - Read article: Ballet, Jazz, Modern, Hip Hop, Tap, Irish, Disco, Twirling, Cheer: Photos, Chat, Games, Jobs, Events! Pretty pink and white solo dress by Gavin Doherty. Great on stage presence. We purchased this dress used from the UK. Has been stored flat. Selling to due to dancer has outgrown dress. 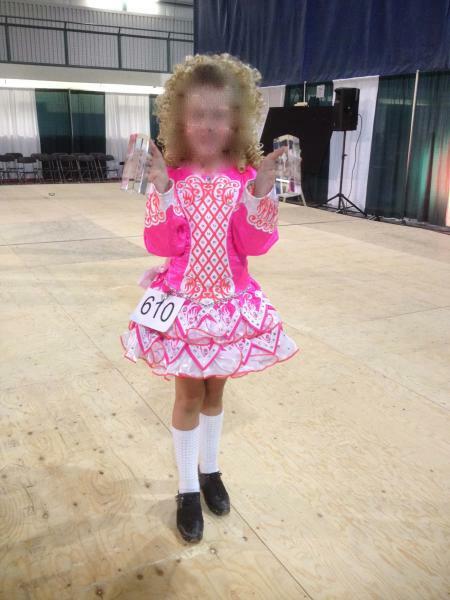 I'm not interested, but I'm just wondering... was this photo from the Sherwood Park Feis?